If you want big, gentle and handsome, this one is for you!! 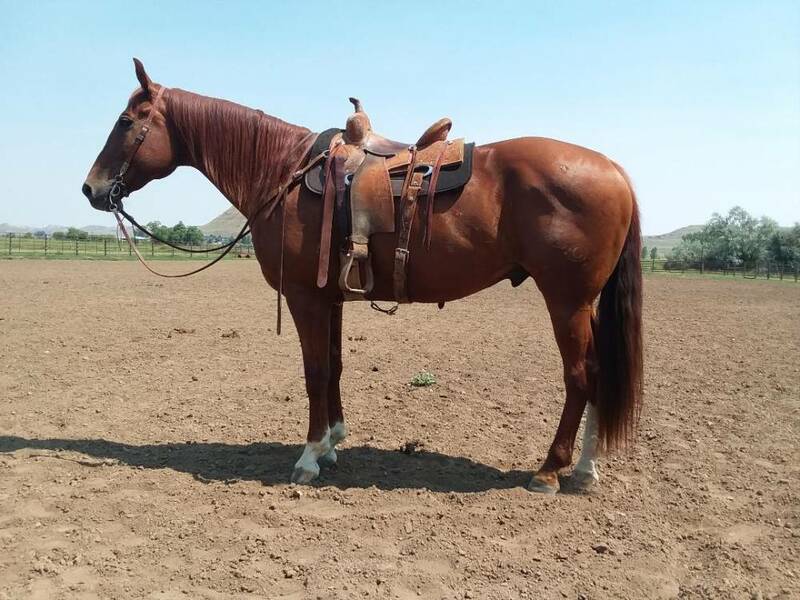 Too Tall stands a stunning 16.1 hands and at the prime of his life this horse is being offered to you as a solid finished ranch horse. 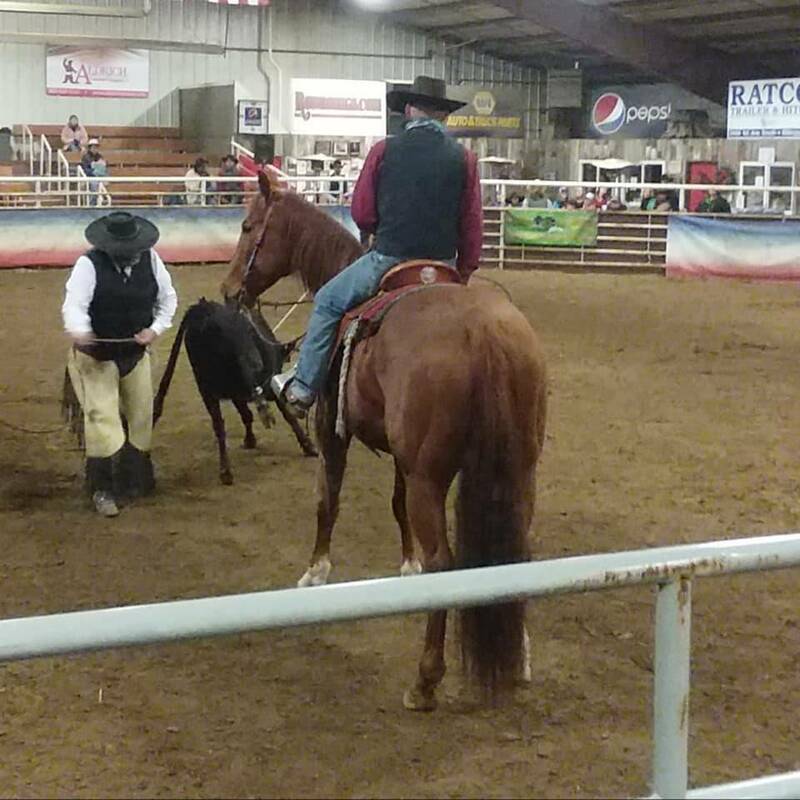 This horse has drug hundreds of calves to the fire, roped yearlings, and sorted and gathered thousands of pairs. 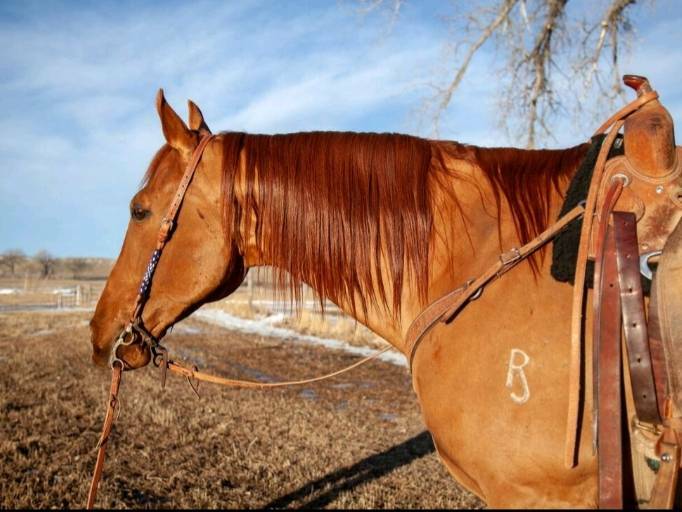 He is also patterned on the barrel pattern. Too Tall is a big friendly teddy bear; he is very gentle and quite to be around. 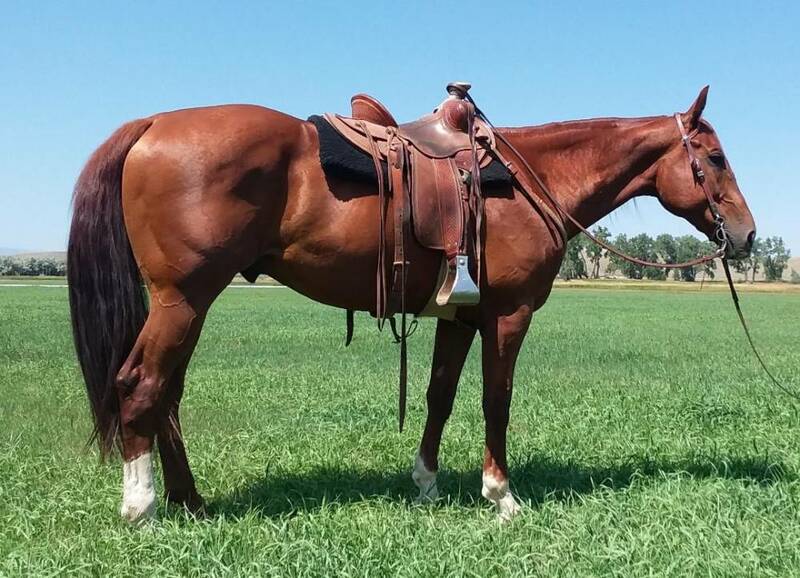 He has more whoa then go, but this horse can really run if asked. Too Tall is always a gentleman to catch, load, shoe, tie, and hobble. He travels country well, will cross water, logs, bridges, open close gates, pick up both leads and side pass. 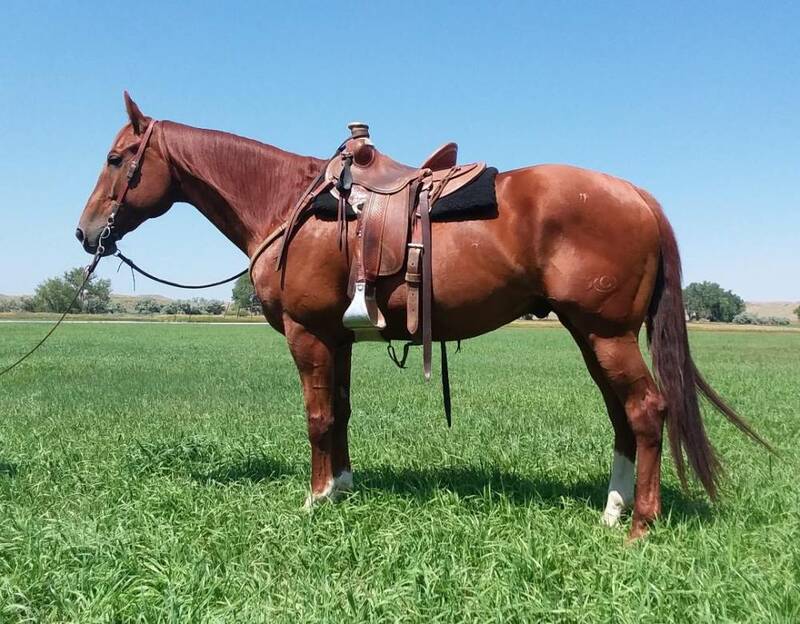 Not too many horses left out there with Three Bars on there papers, and he is by a daughter of Rare Form. He has been in the mountains and is wonderful on trails. 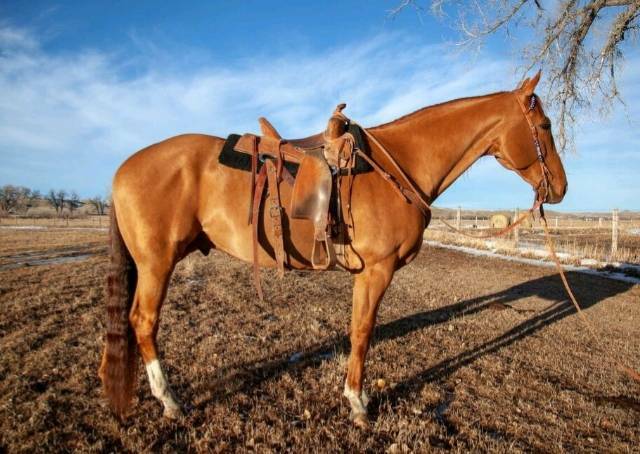 This horse could go a lot of different directions, who ever buys him is gonna love him. 100% sound straight legs, no scars. 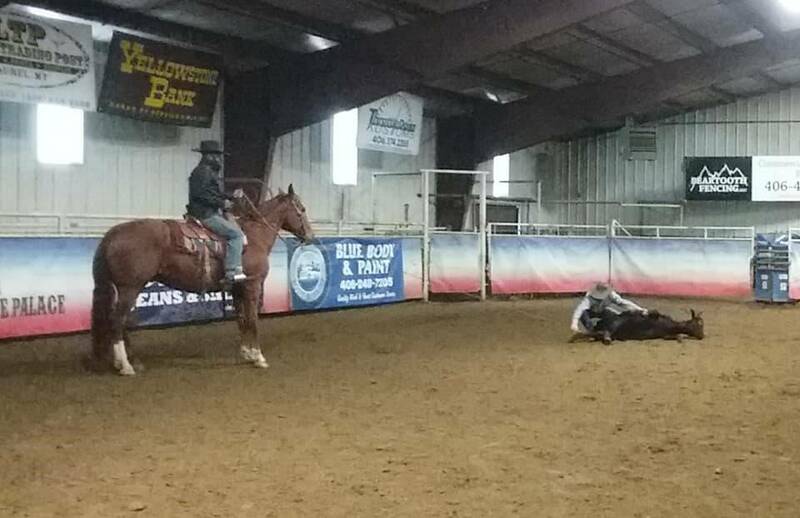 Come try him out before the sale in Buffalo Wyoming.